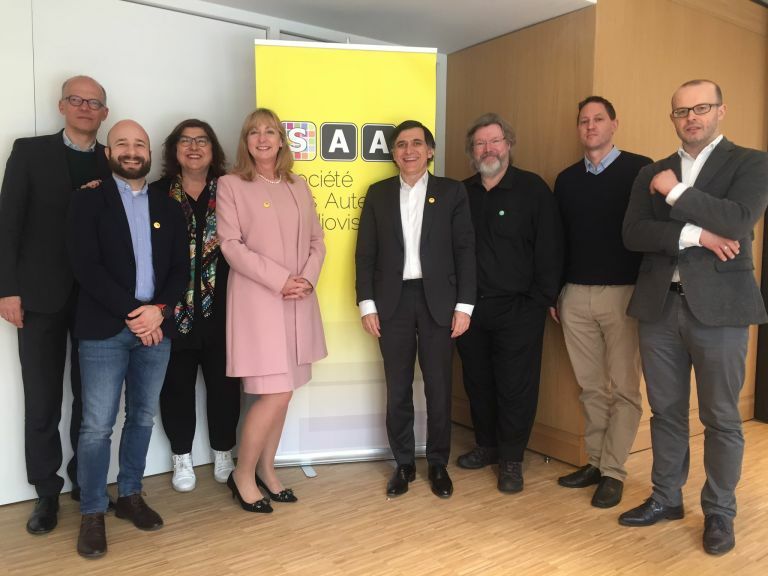 The Society of Audiovisual Authors (SAA) elected its new board of directors on 27th March 2019. The general assembly of members made of European collective management organisations elected ZAPA as a board member for the third time in a row. The member organisations once again awarded ZAPA in recognition of our actions in the structures of SAA. Our contribution to the protection of the rights of creators on the domestic market and efforts to shape the best legal regulations in Europe were highly appreciated. It was also noticed that we put great effort into integrating various groups of rightsholders. ZAPA is a unique organisation in the European Union due to the representation of both authors and producers. “It is a great honor and distinction. The re-election shows ZAPA's strong position in Europe as a leader of our region. After the adoption of three important directives (on audiovisual media services, on broadcasting and retransmission and above all on copyright in the digital single market) by the EU institutions, SAA begins a new chapter of its activity. We will cooperate with other SAA members to exchange best practices and to work on a common position regarding provisions adopted in Brussels for the purpose of their appropriate implementation into national laws” said Dominik Skoczek, managing director of ZAPA and ZAPA's representative in the SAA Management Board. The newly elected board is – in addition to ZAPA – composed of representatives of the following collective management organisations: AIPA (Slovenia), ALCS (UK), Kopiosto (Finland), SACD (France), SGAE (Spain), VdFS (Austria), VG Wort (Germany). The Society of Audiovisual Authors (www.saa-authors.eu) is the umbrella association of European collective management organisations representing audiovisual authors. Its 32 members in 24 countries manage rights for over 140,000 film, television and multimedia European screenwriters and directors. SAA’s main objectives are to defend and strengthen the rights of audiovisual authors, secure fair remuneration for audiovisual authors for every use of their works (especially in the digital environment) and develop, promote and facilitate the management of rights by member societies.